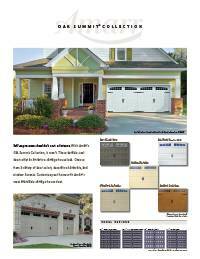 American Garage Door & Gate Systems is proud to be an authorized distributor of Amarr Garage Doors. A garage door is a large, complex system of pulleys, springs, rollers, and door sections. Choosing the best garage door that fits your needs and enhances your home’s curb appeal is an important decision. Amarr. Founded in 1951, Amarr, a family-owned company is one of the world’s leading designers, manufacturers and distributors of garage door access systems for residential homes, condominiums, warehouses, commercial buildings, shopping malls and other commercial applications. Amarr’s original company values of providing high quality, durable and safe door access systems. Service and innovation with several design patents continue to be the focus of Amarr today. Our Products. Amarr is the style and safety choice for door systems. With 14 residential product lines and a wide array of commercial doors, Amarr has a door that is right for you, in both style and price to meet your needs. Amarr’s innovative Classica® Collection of Carriage House garage doors. This one-of-a-kind garage door is made with 3 sections, rather than the standard 4-section door, resulting in a much more authentic carriage house look. The Classica® garage door designs are uniquely stamped into the steel material, ensuring a permanent carriage house design with no worry of the design shifting or detaching. 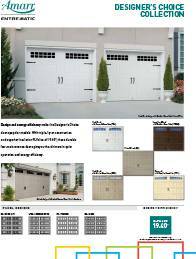 Amarr steel garage doors are built with high-quality components and heavy-duty steel.